With Benedict Cumberbatch playing the super sleuth for the BBC, the character getting an American makeover with Elementary, and Robert Downey Jr. and Jude Law apparently getting ready for a third installment of the feature film franchise, you might think we’re all a bit Sherlock Holmes-ed out at this stage. Well, Sony Pictures don’t seem to think so, tapping Tropic Thunder screenwriter and Get Hard director Etan Cohen to take the reins of Holmes & Watson, a comedic take on the super sleuth and his loyal side kick. 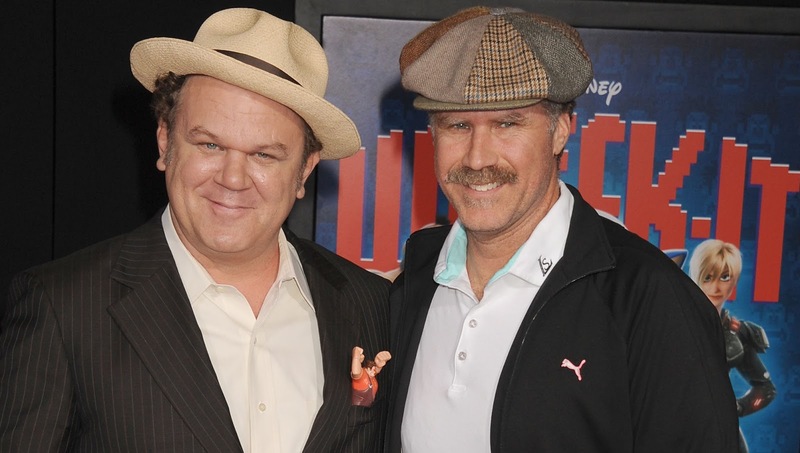 What will make you stand up and take notice though is that Will Ferrell and John C. Reilly have signed on the dotted line to take the lead roles of Sherlock Holmes and James Watson respectively, marking the third feature collaboration between the pair following Talladega Nights and, of course, Step Brothers (I’m not counting Reilly’s cameo in Anchorman 2). Originally the plan was for another Talladega Nights reunion between Ferrell and Sacha Baron Cohen , but that iteration of the project fell through, and which point Reilly became interested and the scheduling gods smiled upon the production. Filming is set to begin in November, right after Thanksgiving, which could see the finished project hitting our screens sometime next year. Now, I know its not Step Brothers 2, the movie we all want, but the two funnymen teaming up is fantastic turn of events, no matter what movie it is.